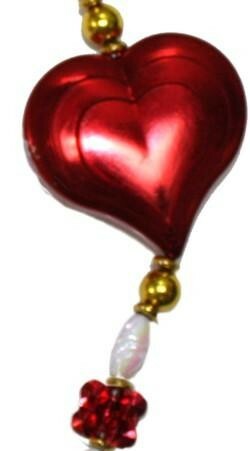 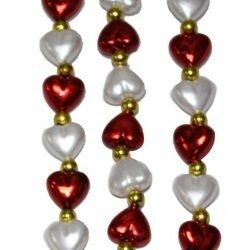 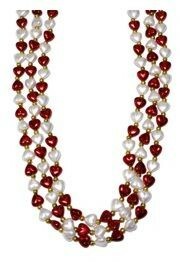 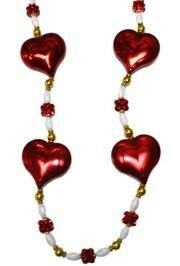 Only customers who&apos;ve bought Red Hearts Necklace are allowed to review this product. 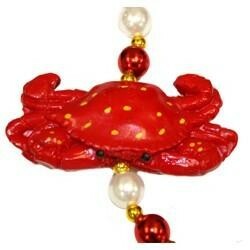 This is the best bead ever. 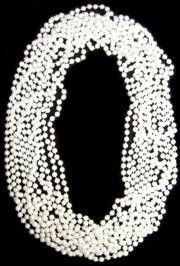 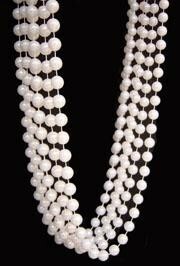 42in long necklace with 12mm black beads and 6mm gold spacers. 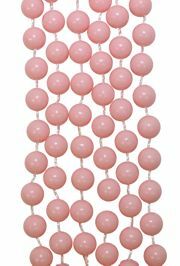 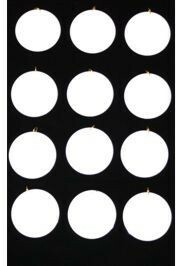 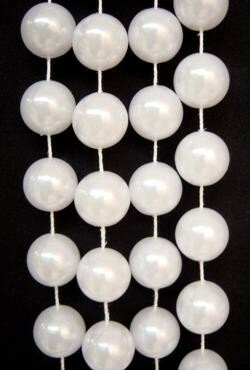 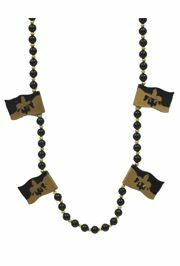 This hand-strung bead has 4 poly-stone flag medallions. 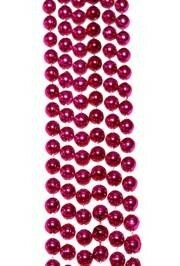 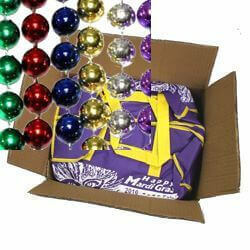 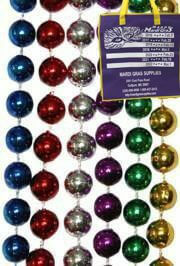 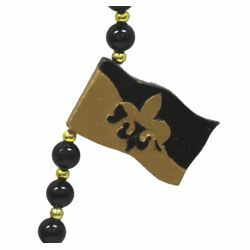 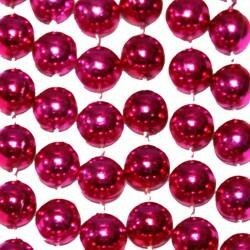 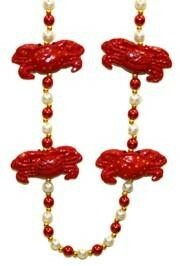 It's a great bead for Mardi Gras and football fans.